Owners said SELL! Highly desirable building. Rarely available. 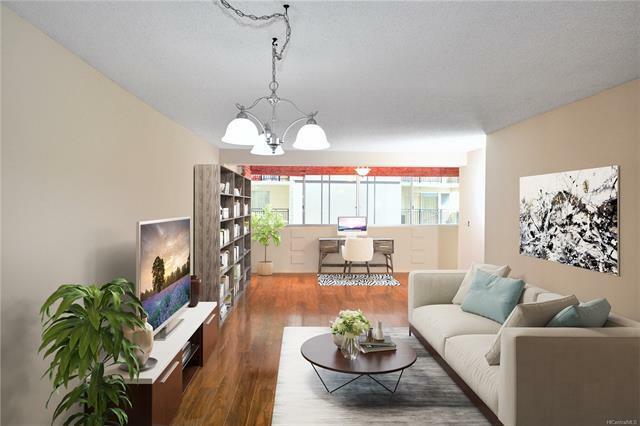 This tastefully upgraded unit, designed by Interior Designer Shari Saiki, features stainless steel appliances, Corian countertops, and wood laminate flooring. The unit has been freshly painted and is move-in ready. Kapiolani Townhouse is just behind Don Quijote; walking distance to Ala Moana and the beautiful Ala Moana Beach Park; near bus lines and dozens of restaurants. The unit includes 1 partially covered parking stall. Free WiFi at the swimming pool/rec area. Sorry pet-lovers, this building does not allow pets. The interior square footage does not match tax records.